If you have just undergone a bulk then chances are you have gained a few excess pounds of body fat while gaining muscle. While this is a common issue with bulking diets you don’t need to worry too much as this is not a permanent issue. The following tips provided for you in this essential guide will help you to cut fat, leaving you looking as ripped as possible. Please read on to discover how to cut your body fat while maintaining muscle mass. 1 What to look for in a Cutting Diet? 2 What to Eat for Fat Loss? 6 How Quickly Can You Cut Fat? 7 How to Monitor Muscle Mass and Body Fat? What to look for in a Cutting Diet? Before you start your cutting diet there is one thing you must do, you must write down what your goal is. For example if you are looking to get your body fat down below 10%, then write it down. But you must be realistic with your goal. If you are currently above 20% body fat then you cannot expect to get below 10% in just a few short weeks. By writing down your goals you are making a statement and setting yourself a goal. This helps to remove negative thoughts like “I wish” or “I hope”, you have set a goal that you will achieve. Set goals that are ambitious but achievable, and make copies of your statement and put them up around your home and workplace, this can help reinforce your statement and help keep you on track. What to Eat for Fat Loss? Drastically cutting your calorie intake will not get you ripped, your body will stop this from occurring . Essentially your metabolism will slow, and your body will store fat in an attempt to conserve fat. What will occur is that your body will start to break down or metabolise your muscle mass for energy, which is something you certainly do not want to occur. To lose fat you need to cut calories but not drastically, you need to eat and more importantly you need to eat well. To ensure you are eating the right kinds of foods and the correct amounts you should look at calculating your macros. Macros is simply short a shortened term for macronutrients. There are 4 macronutrients; protein, fat, carbohydrates and alcohol. If you are trying to cut fat then I would recommend cutting alcohol entirely  so lets focus on just the other three. Proteins and carbs have 4 calories per gram, while fat, which is more energy dense, has 9 calories per gram. There are also micronutrients or ‘micros’ found in your food. These include vitamins, fatty acids and other inorganic elements that are essential for growth and repair of your cells, but are found in much smaller quantities. To work out how many calories you should be eating daily to cut fat you will first need to work out how many calories you require to maintain your current weight. Meaning that if you wanted to lose fat you would need to consume fewer calories than that, probably between 300-600 calories less daily. 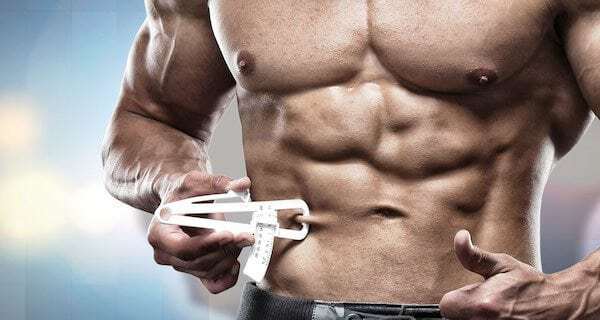 Of course losing weight and losing fat are two different things, so simply cutting calories is not sufficient to ensure that hard-earned muscle mass is not lost too. There are a number of other factors you should look at to ensure you maintain muscle while cutting. Your intake of macros also plays an important role in maintaining muscle when cutting fat. For the growth and repair of damaged muscle fibres you need to ensure you are consuming adequate amounts of protein. Some would say that you should be consuming 1 gram of protein for every pound in bodyweight , however if you are going into a diet that leaves you with a caloric deficit then I would recommend that you increase your protein intake. The reason for this is to ensure you do not lose muscle while you cut fat. This leaves us with 1,400 calories left daily for fats and carbohydrates. Fat is essential for good health, not just for cutting. It plays an important role in maintaining a healthy immune system, and is also a requirement for visual, brain and nerve, adrenal and testis function. EFAs (Essential Fatty Acids) also help stimulate metabolism, increase metabolic rate, increase oxygen uptake, and increase energy production. They are also important for your energy levels, with athletes shown to recover more rapidly from exercise fatigue with their consumption . Two of the best sources of fat are fish and seeds such as flax seeds. Our sample subject would therefore consume between 45-60 grams of fat daily, or roughly 495 calories worth daily. Remember when we say fats, we mean good fats not those found in junk food. There are various types of carb, some of them are more effective for your goals than others. I would recommend cutting out bread and junk foods , instead eat more vegetables and whole grain options. When it comes to deciding how many carbs you can eat when cutting, you have already worked out how much protein and fats you should be consuming, the remaining calorie number should be used for carbs. So if you take the protein and fat amounts from the original 2,400 calorie allowance (1,000 + 495) you will be left with 905 calories for any carbs, this equates to 225 grams of carbohydrates daily. Once you have calculated the amount of macros you should be eating, it is important that you start tracking their intake. There are various tools available, but one of the most popular is MyFitnessPal. This tool is available as an app that can be downloaded to your smartphone. When it comes to your food choices this will be your choice, though I would recommend opting for healthy and nutritious foods. If you want to cut body fat then you don’t want to fill your diet with junk foods . I would suggest choosing those foods that are full of nutrients, vitamins and other minerals. Remember you need to make sure you are consuming plenty of micronutrients too. If you are still drinking soft drinks and alcohol then please stop immediately. Neither are that good for a cutting diet . What you need to be drinking is plain tap water, or bottled water if you prefer. Your muscle is made up of approximately 70% water, and it is essential for transporting the various nutrients your body needs for cellular activity . If you are not drinking enough water then your ability to transport these essential nutrients will be compromised. This can result in poor performance, likely due to a build up waste materials. I would recommend consuming a glass of water both before, during and after each meal to ensure you are hydrated sufficiently. If you are training in particularly hot weather then you should consume more to replace any lost fluids. When bulking it is essential that you lift weights, you need to cause those micro-tears to occur so that your muscle can repair itself, growing bigger and stronger in the process. 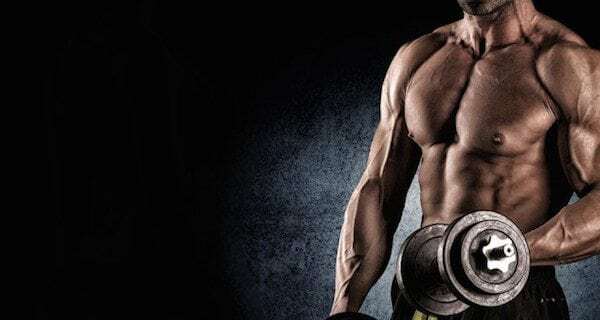 Cutting is slightly different as you are not actively looking to build muscle, but rather trying to lose excess body fat while maintaining any muscle mass you already have. This means that as well as lifting weights regularly you need to be undertaking regular cardio sessions too . Personally I would be looking to add a HIIT (High Intensity Interval Training) session to the end of my usual regime, but this is not the only approach you can take. When performing HIIT you will need to pick an exercise, perhaps running for example, you would then run at 60-70% of your max heart rate for a minute. After this first minute you would then sprint for 15-20 seconds. This is one set. You would complete 10 sets, with the total workout not exceeding 15 minutes in total. HIIT is my choice as when you are cutting you may not have the energy levels you would usually have, so a shorter workout maybe a better option. I would recommend performing HIIT 3 times a week maximum, at the end of your weight training session. Occasionally change the exercise you perform to ensure your results do not plateau. Sometimes mixing up your training can cause better results. Another option is to use low intensity cardio, but for a longer period. You maybe frightened that this approach will result in a loss of muscle mass, but this is not the case. As although you are performing this for a longer duration the intensity is so low that only fat will be burnt. To ensure you do not start burning muscle with low intensity cardio you should keep your workouts under 60 minutes. To burn fat while maintaining muscle mass you need to be lifting weights, cardio alone will not give you the results you want . Weight training involves two movements; concentric (lifting) and eccentric (lowering). When you lift the weight you are shortening the muscle, while lowering lengthens the muscle. Both movements are important and it is these movements that cause those micro-tears to occur. For best results for the shortest time I would recommend opting for compound movements that work multiple muscles, for example the bench press, deadlift and squat. Finally, when working out it is important that you push yourself. If you are not putting in the effort then how are you going to see any results? To monitor your Rating of Perceived Exertion (RPE) I would recommend using the Borg Scale . RPE determines how hard you are working, for example how hard you are breathing, how fast your heart is beating, as well as the exertion felt on your muscles. If you are rating your RPE less than 13 then you should probably increase your intensity if you want to see the best results. Before we start talking about cutting supplements you need to first understand that these products are not a magic pill that will get you ripped without any of your own work. You need to follow the tips I have already provided, as your diet and training are going to be the most important aspect of any cutting regime. Of course the use of an effective supplement can help you achieve faster results, but which supplements are best. Lets look at some of the supplements types you should be looking at. It is an unfortunate fact that despite our best efforts our diet may not provide us with every nutrient our body needs. This is where a multivitamin could help. By ensuring your nutrient demands are met you will find that your overall health will improve, leading to better results in and out of the gym. Amino acids are the building blocks of protein, and you should already know why protein is important for your training . BCAAs offer other benefits apart from helping to repair damaged muscle tissue. It can also help ensure your brain is working optimally, and can improve recovery. These amino acids can also reduce fatigue by blocking the entry of fatigue-inducing tryptophan into the brain. Most importantly when cutting, BCAAs can help to prevent catabolism from occurring. Which is the process where your body starts to break down muscle tissue for energy. A common issue found in those who are in a calorie deficit. Whey protein is important whether you are cutting or bulking, as it provides your body with the nutrients it requires to build and maintain muscle mass. You need protein to grow, and it is easier to take an occasional protein shake rather than trying to get your daily intake of protein through food alone. Creatine is naturally produced in your kidneys, liver, and pancreas. It is used to provide energy to your muscles . While you can get creatine from foods like beef it is easier to consume creatine in supplement form. When looking at the various forms of creatine I would recommend choosing creatine monohydrate as this is one that will cause the least amount of bloating. If you are lifting weights then you should be taking a joint support supplement like glucosamine. It is an amino acid that is a precursor to a molecule used in the construction of cartilage. Through the use of this supplement you will be better able to repair damaged cartilage as the glucosamine will provide the raw materials for regeneration. After you have worked out your glutamine levels will be lower than before, which leaves your body at risk of catabolism. A supplement that contains glutamine can stop this from occurring . 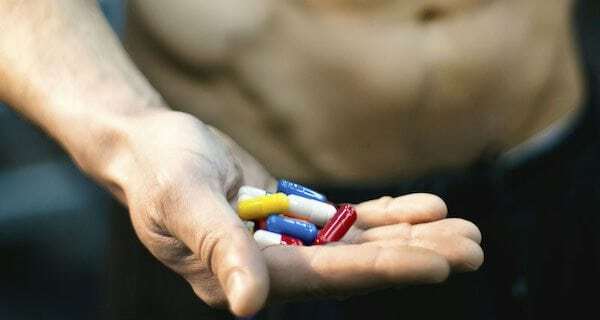 To get the most out of your workouts an effective pre-workout supplement is a must. A pre-workout that contains nitric oxide can help control the circulation of your blood and will help transmit messages between nerve cells more effectively. This can benefit your workout as this can lead to an increase in blood flow, allowing more nutrients to be delivered directly to your muscles. L-Arginine is another ingredient to look for in your pre-workout as it can help release growth hormone and enhance the metabolism of fat . Another benefit is that its use can help to regulate salt content, helping to reduce bloating and leaving you more vascular. Thermogenic's are fat burning supplements that can be used to help metabolise stubborn fat tissue. Basically their use helps to break down these fat cells, allowing them to be used as energy. The most popular ingredient found in most fat burners is caffeine, which is a mild stimulant, but it is certainly not the only ingredient that can effectively reduce body fat. The above ingredients are likely to help your cutting efforts they are certainly not the only ingredients available. There are also a number of other ingredients that have been used and are still popular despite being banned from various countries because of the side effects they cause. Ephedrine: A drug derived from ephedra that was banned by the FDA in 2004. It has been linked to 80 death, and over 1,400 complaints . DNP: This is an industrial chemical that has been proven to burn fat. Unfortunately its fat burning ability comes at a price, with numerous deaths associated with its use . Clenbuterol: A steroid originally used to treat asthma. It has not only been banned for use in humans, but also banned for use in animals that are to be eaten by humans . While using these products are illegal you can still buy them online from a variety of sources. With the side effects associated with their use, why would you want to risk your health? With so many issues associated with illegal fat burners I would recommend that you choose one of our safe alternatives. How Quickly Can You Cut Fat? Remember at the start of this article where we stated that you had to be realistic with your goals, well this is a reminder that if you have for example 25 pounds of fat to lose you cannot expect to lose it in just 10 weeks while maintaining your current muscle mass. To ensure you are only losing fat and not muscle I would recommend trying to cut as slowly as possible. It is certainly possible to cut your calorie intake by 1,000 or more, but this is only suggested for a day or two at a time. Any longer than that and you are at serious risk of muscle loss. As a general rule of thumb I would recommend aiming for around 1 pound of bodyweight every week to maintain muscle mass. If you are losing more than 2 pounds a week then you are going to be losing muscle as well as fat. Ectomorphs will find cutting easier than endomorphs so their overall cutting period will be less. How to Monitor Muscle Mass and Body Fat? To make sure you are losing body fat and not muscle you need to monitor your progress. I would recommend checking your measurements weekly, so that you can adjust your diet and training if necessary before it is too late. To find out your overall muscle mass and body fat you will first need to find out your body fat percentage. One of the best methods you can use to monitor your body fat percentage is through the use of callipers. Your local gym probably has one, and you can use it to check that your subcutaneous fat is proportional to your total amount of body fat. Another method you can use is BIA or Bioelectrical Impedance Analysis , which is an easy to use method that is both non-invasive and safe. With this method a small electrical current is passed through your body. The impedance or opposition to the current flow is then monitored. Fat free tissue and water is a good conductor of electrical current, fat on the other hand is not. Once you know your body fat percentage you can work out your muscle mass by multiplying your body weight by the percentage of body fat you discovered using the methods suggested. This will give you your overall body fat percentage. To find out your overall muscle mass you should subtract your overall body fat from your total body weight. Whichever method you choose it is important to monitor regularly and to take photos of your progress to see how you have transformed over the weeks. To cut fat you have to cut calories, however not too many or you run the risk of catabolism. You should never cut more than 600 calories from your BMR. A good analogy to this would be that you can’t double your bench press overnight, so you can’t cut 600 calories from your diet overnight either. It may take a few days for your body to get used to your new diet. Doing so will ensure the chances of your body storing excess body fat will be reduced. 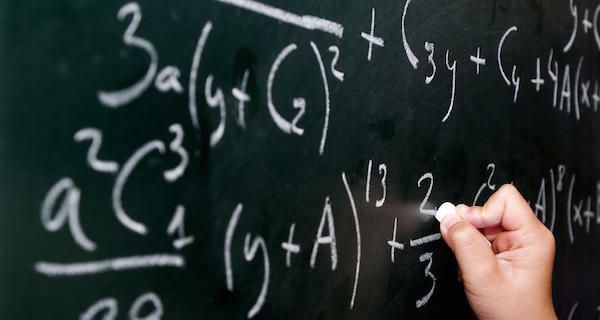 We have shown you how to correctly calculate your macros so make sure you do it. Remember your body needs these nutrients, otherwise your health will suffer and ultimately your cut will fail. When bulking it is recommended to eat more calorie dense foods as they will give you those much needed calories without filling you up. On a cutting diet the opposite is true, so you need to fill up on nutrient rich foods instead. Foods that are low in calories but high in those essential nutrients your body needs. There is a difference between good and bad fats, but avoiding all fats is certainly not recommended. You need fat for your bodybuilding goals, so make sure you are eating the recommended amount . Protein is an essential nutrient that you must consume whether you are cutting or bulking. It helps to repair damaged muscle fibres torn when working out. But for cutting it is essential for ensuring those hard-earned gains are not lost due to catabolism. To keep your performance levels high you need to make sure you are hydrated . Water also has a slight thermogenic effect, so will help burn off a few extra calories too. You may think that the occasional snack wont harm your overall efforts but those additional calories can soon start to add up. I will keep it simple, if you have not planned to eat then it is best that you don’t. Our lives are so busy that it can be hard to find the time to prepare healthy meals every day. If this sounds a lot like you then you will find that food prepping for the week is a better plan. This will allow you to eat healthily even when you are busy. We all have that one food that we cannot resist, even though we know it isn’t good for you. I would suggest that if you do have this one particular food present in your home then it is best to remove it completely. You can either throw it away, or better still donate it to your local food bank. Not only is it a good idea to check those labels to ensure those foods meet your macros, but it is important to check that those foods do not contain anything untoward. For example, are there any hidden ingredients such as sugar? You will only get out of your training what you put into it. Therefore it makes sense that when you lift you make sure you are pushing yourself to your maximum. If you are simply going through the motions then you are failing yourself. The work you do in the gym is obviously going to burn calories, but what you do outside of the gym is important too . If you have a sedentary job then it is important that you make use of any spare time you have. You should also take steps to increase your activity levels while at work. Even standing at your desk instead of sitting all day can make a big difference to your calorie burn. To ensure your heart rate remains high, make sure to take less time resting between sets. This may mean that you are lifting slightly less weight, but when cutting you are not actively looking to build strength. If you are not getting enough sleep (at least 7 hours a night) then you could be sabotaging your fat burning efforts. It has been shown in countless studies  that those who struggle with sleep are more prone to weight gain. This is because you are more likely to snack and those hormones your body produces will limit fat loss. Cutting fat is certainly not an easy task, and is one that many bodybuilders hate. However, if you want to reveal your newly acquired muscles then you will need to lose some of that excess body fat. Hopefully some of the advice we have provided here will go a long way to helping you achieve your goal. 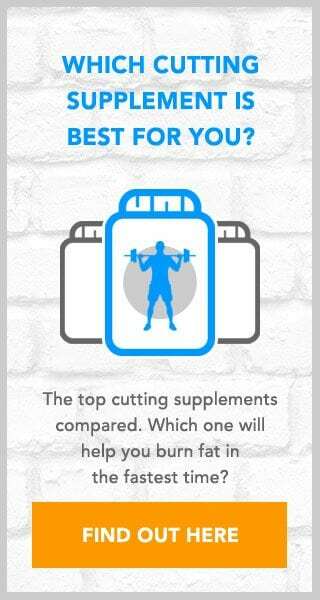 Remember to cut fat you need to adjust your diet, train intensely and perhaps take a fat burner. Good luck on your journey! No problem Jace. I hope it helps! Will cutting calories lose fat or muscle? It depends on what type of calories are cut. To lose body fat while maintaining muscle then you should try to maintain a high protein diet. Also do not cut your calorie intake too drastically. 500 calories from your usual diet should suffice. How much weight should I be looking to lose each week? Dont want to lose muscle mass. You really shouldn’t be looking to lose more than a pound or two maximum a week. This should ensure the weight loss is fat and not muscle. I was wondering when to stop cutting fat? Is there a rule? This all depends on your own preferences. You should try to cut body fat while maintaining muscle mass. If you start to notice that you are losing muscle mass then perhaps it is best that you stop cutting. Can losing body fat reduce gyno? While losing fat will reduce gyno, it will not eradicate it entirely. Especially if it is being caused by your hormones. Too much oestrogen in your body will cause your breast tissue to grow, regardless of your body fat percentage. Is 6 pounds a week too much? I would definitely say that you are going to be losing muscle mass if you drop that much weight weekly. Looking to get lean for the summer. How long will it take? Sorry, but we will need a lot more information than that. What is your current weight? What is your body fat percentage? Your current diet and training regime? There are too many questions left unanswered, unfortunately. Had a quick read but will need to take a little more time to read it in more detail. Gained a little weight over the Christmas period, so looking to lose some. I’m quite lean but seem to have a bit of a beer belly. What foods help burn belly fat? There are certain foods that can help fight belly fat. 1: Avocados, which contain healthy mono-saturated fats that can stop blood sugar spikes that tell your body to store fat around your midsection. 2: Bananas, which contains potassium, a mineral that helps limit sodium that in turn helps stop your belly from swelling. 3: Green Tea that has been shown to boost metabolism. 4: Citrus Fruits help to increase your bodies fat burning ability while exercising. Thanks for these tips. Am looking to drop a few Christmas pounds. Do sit ups burn belly fat? No, sit-ups alone will not burn belly fat.